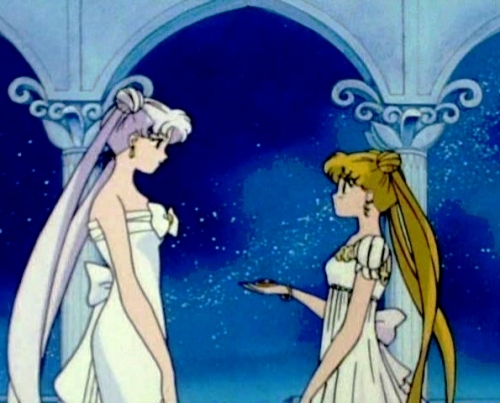 Usagi receives the first Moon Locket from Queen Selenity. 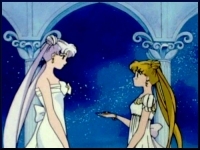 Usagi receives the Moon Rod from Queen Selenity. First use of Moon Crystal Power, Make Up! First use of "Moon Princess Halation!"